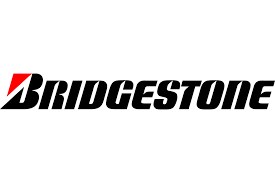 Bridgestone has launched a nation-wide ‘Tyre Safety Check-up Camp’with Tata Consultancy Services to promote safe driving. Celebrating the ‘Road Safety Week 2017’, the camp will be organized between January 17th–27th 2017 at 58 TCS facilities in 14 cities across India to educate citizens on the importance of tyre maintenance and road safety. The ‘Road Accidents in India 2015’ report issued by the Indian Ministry of Road Transport & Highways, stated that almost 5 lakh accidents have occurred in 2015 killing 1,46,000 citizens with thrice the number injured, representing an increase of 4.6% on total number of people killed compared to the previous year. 13 states including Tamil Nadu, Maharashtra, Madhya Pradesh, Karnataka, Kerala and Uttar Pradesh, accounted for more than 80% of all road accidents and fatalities. India has the highest motorization growth rate in the world which has made it imperative to create awareness about safe driving to prevent and control road accidents. Bridgestone India’s ‘Tyre Safety Check-up Camp’hopes to draw attention to this serious issue of tyre maintenance which is oftenunheeded to owing to the lack of effective awareness amongst citizens of India. Poor condition of tyres adversely affects the overall performance of the vehicle including braking distance, handling, safety and fuel consumption. Regular check-ups of correct air pressure, tread depth, tread wear, wheel balancing and alignment by a reputed dealer will helps to reduce road accidents and ensure safe driving. Bridgestone India has been continuously extending its support to promote Road and Tyresafety awarenessthrough various CSR activities to help in reducing road accidents in the country.